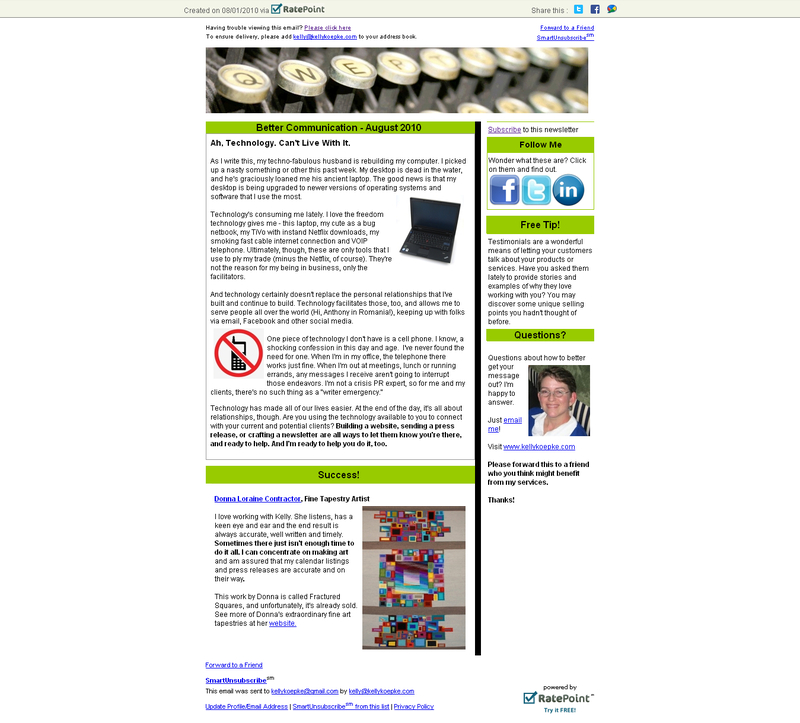 Here’s my August 2010 Better Communication Newsletter. Sign up on the right to subscribe. This entry was posted in Uncategorized on October 4, 2010 by kellykoepke.